An applicant tracking system (ATS) is a type of software platform that electronically handles your recruitment needs. An ATS helps employers save time, stay organized, and acts as a system of record. In a nutshell, they make it easier for recruiters to keep tabs on the recruiting process. Depending on a company’s needs, they may have a relatively simple or more complex system in place. An electronic system is a big step up from paper applications, but for hourly hiring, there is a way to unleash more potential from your ATS. In the race to attract hourly talent and speak to their unique demands, no organization wants to be held back from finding and engaging the right talent. In order to stand above the competition and be successful in talent acquisition, you must identify the problems in your process, and as an obvious next step, fix those problems. Let’s look at four common problems with HR recruiting technology as well as some suggested solutions. Problem: Standard features of your ATS are not designed for your target market. In the current recruiting world, salaried workers apply to jobs by going on a computer and uploading their resume, which gets submitted directly into an ATS. However, these ATSs were not designed with the hourly candidate in mind. Roughly 90% of hourly candidates do not have a resume, so why would your application require one? ATSs often do not allow hourly workers to engage in ways best suited for them, such as applying through text message, searching and applying through Facebook, and offering a bilingual solution. Many require password and login creation. What this leads to is only 20% of hourly candidates completing the application process. Eight out of ten hourly job seekers abandon! Don’t accept this as the norm. With expensive ATSs set as the gold standard of HR technology, employers that have not adopted a mobile and SMS solution may not know that supporting technology exists. No software is a one-size-fits-all solution. Integrated technology that will allow candidates to quickly and easily apply helps companies make the hiring process more efficient. Today’s job seekers, particularly in the hourly space, are applying for jobs while on the go and searching with social media sites, like Facebook, making text and social recruiting necessary. According to the Job Seeker Nation 2016 study, 67% of social job seekers use Facebook in their job search. An application process that is intuitive and does not require an additional login or password immediately captures more of these job seekers. A solution that embraces this, like Jobalign – which is optimized for hourly hiring and works with your current technology – makes the application process engaging and easy to navigate. 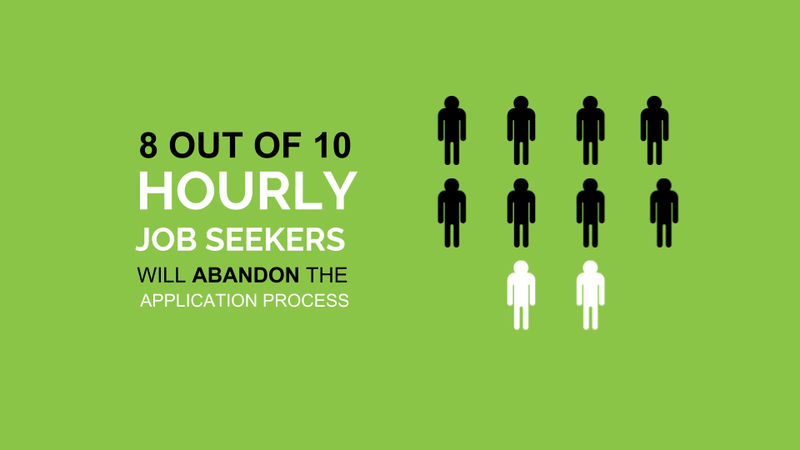 Jobalign has found that 60% of candidates abandon the hiring process AFTER they have applied for a position. For many hourly workers, quickly finding and starting a job is the difference between paying the bills or not and they are applying to many jobs at once. By using a traditional ATS, emails and phone calls are the contact method of choice. If recruiters are using personal cell phones, compliance should be a concern. As they say, time is money, and with a sporadic review and outreach system, it’s difficult to connect with candidates. Are candidates being followed up with quickly? 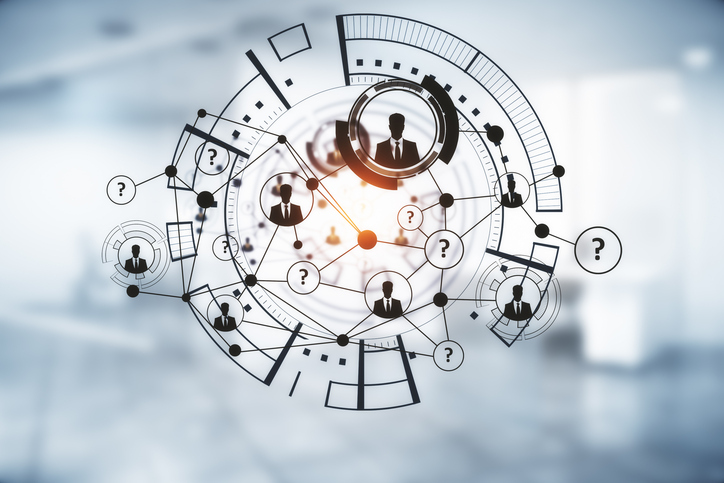 Rather than think of your ATS as a storage system, think about how you can utilize it to streamline the review and outreach process in order to better connect with applicants. Because entry level and lower wage candidates can be difficult to track down, Jobalign verifies the phone or email of candidates. According to Jobalign, time to review candidates is one of the biggest indicators of success to reaching an applicant. Tools like Jobalign Candidate Messenger allow you to connect with candidates immediately through the method they are most comfortable with – SMS text messaging. Text, combined with phone calls and emails can improve interview show rates by up to 30%. When it is a struggle to attract a sufficient volume of candidates in the first place, it is especially difficult to attract qualified candidates. If you are recruiting for a position requiring specific qualifications and in a particular location, but don’t screen out candidates based on minimum requirements of the job and distance traveled to the location, your recruiters are wasting time reviewing and reaching out to candidates that fundamentally may not be a good fit. There is a balance between manually reviewing every single application and automatically screening out every candidate. Automated pre-screening questions in the application process, based on minimum requirements of the job, save recruiters time by allowing them to spend the bulk of their time on the most qualified candidates. Jobalign’s Voice Analyzer, an automated voice pre-screening tool, makes it easy for companies to find qualified employees for customer facing roles by presenting phone interview responses from candidates. In addition to an over-complicated application process, traditional ATSs in today’s market are often not truly mobile and text friendly. It’s no surprise that candidate experience matters, but most companies still use a paper-based or web-based process that takes a lot of time and effort for the candidate. You may think your application is text friendly, but if the “text application” means your candidates are sent a link to a browser, they cannot apply via text. If you fail to optimize your application for mobile, you are turning candidates away. How often do you interact with your own application? Take the time to visit an application in the mindset of an entry-level worker. If you find it difficult to navigate and apply from your phone, imagine what they think! Use an add-on technology to offer an application that is in line with the experience you want your candidates to have! Fortunately, by using mobile and text technology with Jobalign to optimize the candidates you receive, reduce abandonment, and make more hires, you are also optimizing sourcing spend and productivity. This will reduce the overall cost-to-hire. Hiring hourly workers is a challenge. It can be both time consuming and expensive. Fortunately, there is a solution. With the right solutions in place, you can maintain a steady flow of qualified hourly workers and make the most of your recruiting technology.